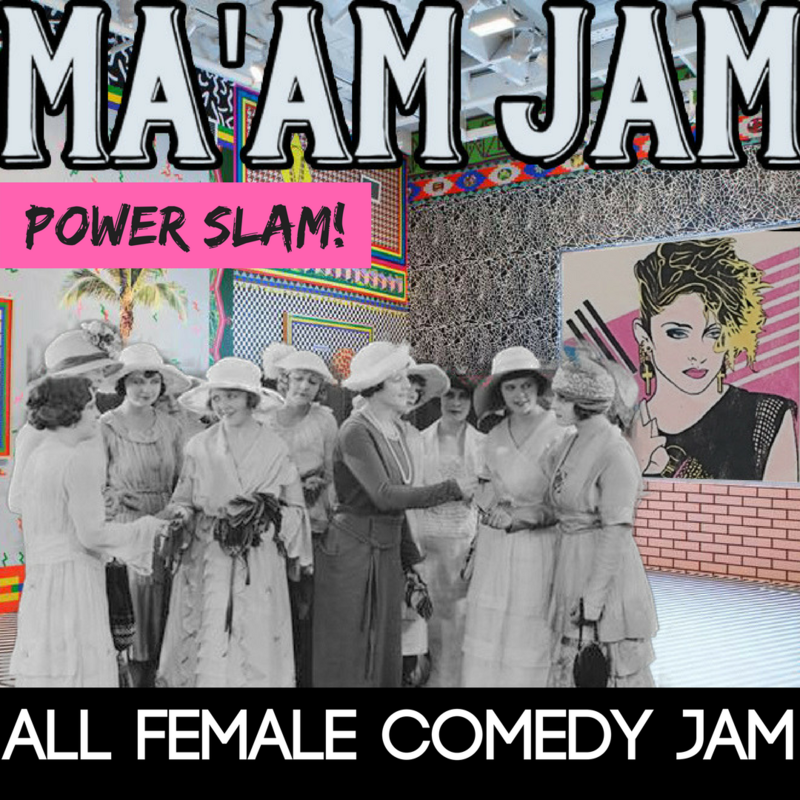 We invite all female-identifying folx to join us for the new and improved Ma'am Jam Power Slam, a free comedy jam sans men. Improvisers, actors, stand up comedians, and all comedy-makers looking to power-up their funny muscles can jam. Join us for an evening of comedy brought to you by our biggest stars- the students! Performing tonight will be: Cameron's Basic Improv, Greg's Basic Improv, Jason's Intermediate Improv, Rachel's Advanced Improv, and Aaron's Stand Up Basics. A full night of comedy- improv, stand up, and more! This show is recommended for age 18+. Stomping Ground is BYOB. Doors open at 7:45. Join us for an evening of comedy brought to you by our biggest stars- the students! 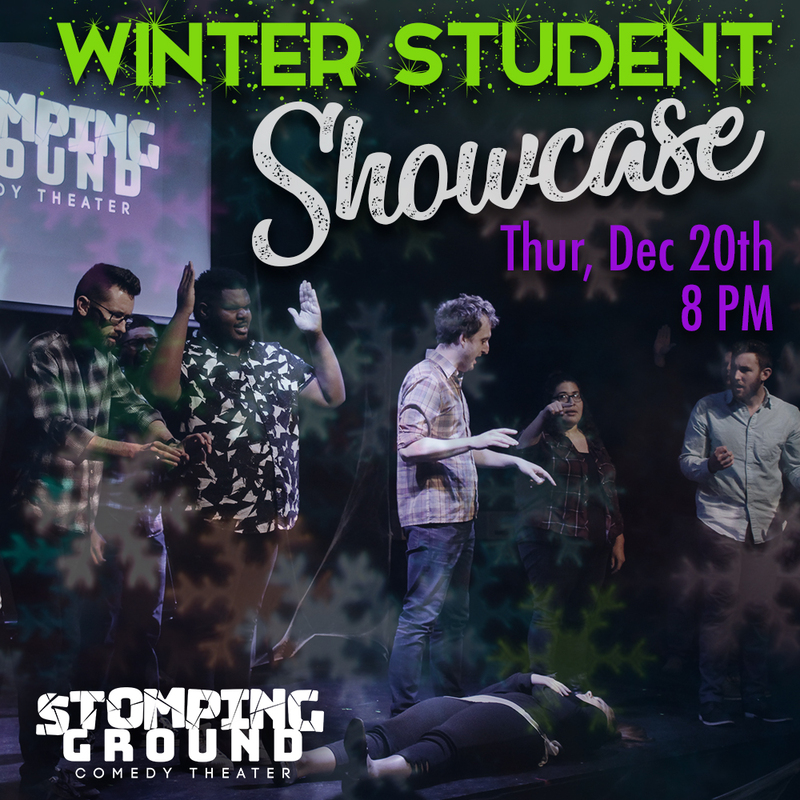 Performing tonight will be: Chad's Level 1 Improv, Jason's Level 2 Improv, Chad's Level 3 Improv, Rachel's Level 4 Improv, Cameron's Conservatory class, and Lindsay's Sketch Comedy class. 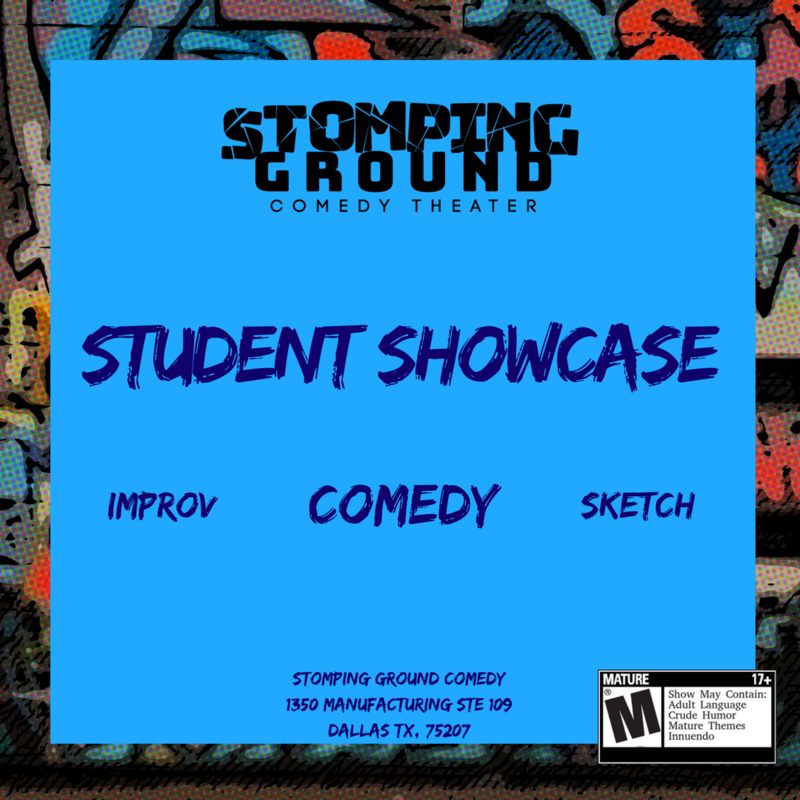 A full night of comedy- improv, sketch comedy, and more! This show is recommended for age 18+. Stomping Ground is BYOB. Doors open at 7:45.